Having reached a certain age I started to think about what do I know about my heritage and especially about my grandparents and the answer was very little. How I wish they had recorded their life story so I could relate it to my children. This is why this book struck a deep cord with me as I started documenting my life so my grandchildren would know who their grandad was and what he did. The author tells us why and how it is important to tell our story and how moods affect the words and grammar we use and through the book how we can influence and change the script. The main element of the book was when the author stated she had kept a diary and memoirs of what her children had done every day of their life and give them it on their wedding days, this made me think and a little bit sad as I really wish I had done this for mine. It is amazing how writing can form a brilliant escape and by moving your thoughts from mind to paper can help release tension and stress which is expertly described in this excellent book alongside with other techniques. The book is full of useful hints and tips on how to write with true meaning in the different formats of prose and this writing typifies our moods or thoughts and gives the reader a true reflection of our sole. I am glad that I started my daily journal to record my own personal history but this book has inspired me to keep recording my thoughts actions and beliefs and hope one day in the future a historian will find them and use them for research. 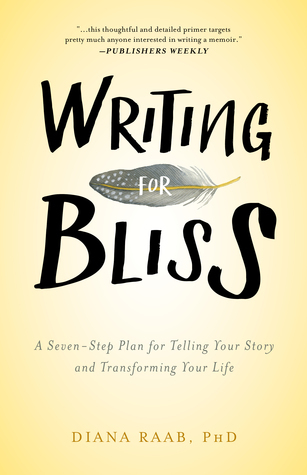 Reading this book has enhanced and improved my daily records and as the title states made my “Writing For Bliss”. She's the author of eight books and over 500 articles and poems, and editor of two anthologies, WRITERS ON THE EDGE: 22 WRITERS SPEAK ABOUT ADDICTION AND DEPENDENCY and WRITERS AND THEIR NOTEBOOKS. 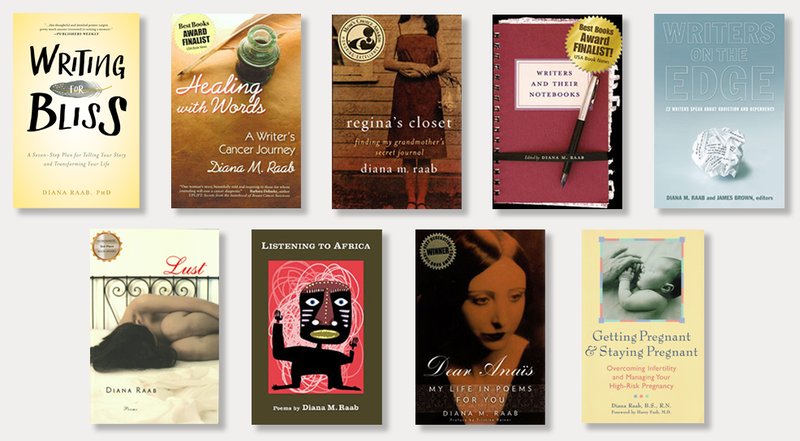 Raab's two memoirs are REGINA'S CLOSET: FINDING MY GRANDMOTHER'S SECRET JOURNAL and HEALING WITH WORDS: A WRITER'S CANCER JOURNEY. Her fourth and most recent poetry collection is called LUST. She is the mother of 3 adult children, and grandmother to two. She lives in Southern California. 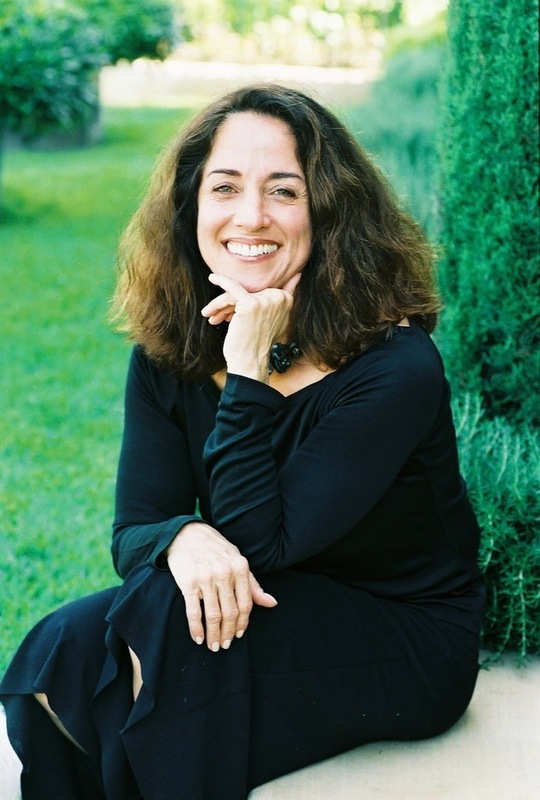 She blogs for for Psychology Today, PsychAlive, and Boomer Cafe.